Basically, what I'm telling you is you're invited to experience the biggest meeting of film and car culture in modern history. Maybe ever. There's so much to get excited about I can't even fit it all in one post, so I'm just going to give you a taste so you can put it on your calendar. There will also be a week of movie/car content to go along with it. 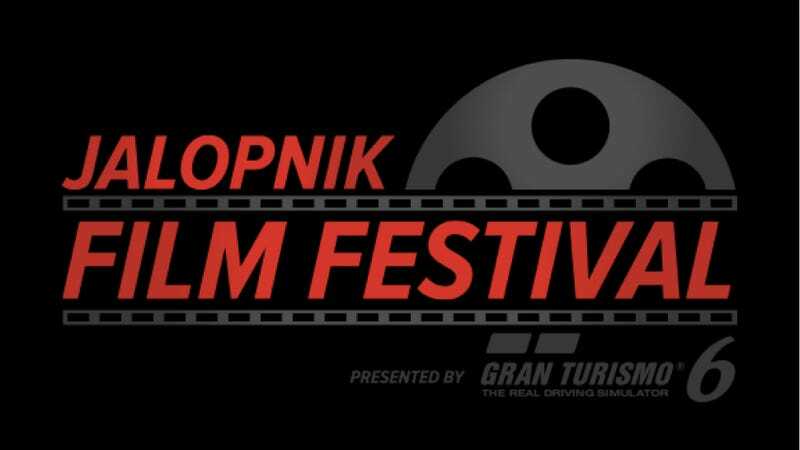 A film festival that only Jalopnik could pull off (with a lot of help). A film festival dedicated to cars and car culture. We'll not only show an assortment of important car films we'll also bring you directors, writers, performers, and other people involved in the world of cars and film. Oh, and there's going to be a giant party at the Manhattan Classic Car Club where you'll get the chance to rub elbows with all those important people. You'll know this as Ron Howard's new film taking on the 1976 Formula One season, starring Chris Hemsworth, Daniel Brühl and Oliva Wilde. It is the movie we're all freaking out about and, thanks to the genuine car people behind the film, we're showing it to the public before anyone. A documentary about one of the most Jalopnik cars ever this film by Jalopnik reader and NYC filmmaker Andrew Filippone Jr. is one I had in mind from the beginning when we had this idea. That's a closely guarded secret, but you'll find out soon enough. Look for announcements next week. We'll be announcing details next week, but I wouldn't be doing this if it wasn't going to be affordable and accessible for Jalopnik readers. The whole thing is presented by GT6/Playstation, which is to say they are sponsoring it, which is to say a lot of this is being underwritten. Also it means great access to the game and its creators… oops, I hope I didn't give too much away there.